The Gospel is about reconciliation. All those false dichotomies of race, ethnicity, gender and orientation; they are all false. The cultural warfare over the Treyvon Martin killing in Florida, Marriage Equality, the dilemma over Abortion Rights and Freedom of Choice, Gun Control...it is all false...for all shall be reconciled in Christ Jesus our Lord. How, you ask? I suspect it will take all of us working at it, honestly, openly, and with an open heart, ready to listen, change, and grow. If, last week we began with an exploration of the first great Gospel word “Love”, and worked it toward an understanding of how it becomes the standard by which we learn to live the Gospel life, so too this week, allow me to invite you to explore with me how the great Gospel word “Reconciliation” continues to keep us “on track” if you will, in living the life God would have us live. This three week Gospel series is really about “Living the Gospel” or “Proclaiming it” in thought, word, and deed. I am trying to suggest here that to do so is really quite a simple and straight forward matter. These three great words sum it up, crystallize it, and simplify it. The Gospel in a three word nutshell: Love, Reconciliation, and Forgiveness. When we were a younger family, we used to look forward to packing ourselves up in the minivan and towing our much loved pop up tent trailer to Maine; Old Orchard Beach to be particular, Powder Horn Campground to be absolutely precise. For many years it became our “summer home”, if you will. When we arrived, there was a lot of work to be done to set things up. There was a moment though in the midst of things when Cindy would say; “Why don’t you and the kids head off to the pool”. She didn’t have to say that twice. We were off in a flash. It was probably one way of getting us out of her hair so she could have a moment or two of peace and quiet. We headed off to the pool, and there we splashed the day away and cooled off and indulged ourselves in gales of laughter. Eventually, Cindy made her way down to the pool and smiled at the way we were obviously enjoying ourselves. My oldest son once told Cindy; “We love you mom, bud dad is more fun!”. Such is the case in our family. Often enough it seems to work out that she gets to do the grunt work and the boys and I get to have the fun. Such is the case too it seems with Mary and Martha. Somebody has to do the grunt work. Somebody else gets to spend quality time with Jesus. Mary sits at his feet soaking up all that wisdom, being imbued with the radiance of his Light, and drinking deeply from the fountain of eternal life in the very presence of God Incarnate. But it begs the question; “Do you not care that I have all this work to do? Tell my sister to give me a hand.” Is Jesus that callous as to disregard Martha’s plight or is something else going on here in this Gospel? Folks, if we look at our lives, let me suggest to you, you’re probably a bit too busy. You may not be taking enough time for yourselves. You very likely don’t take enough time to pray, to exercise, to read, to care for and about yourself and those who really matter. Just Friday Brother Almquist of the Society of Saint John the Evangelist gave us this word. "In our culture at this time, I suspect that most of us need to do less rather than more. The blur of our life begins to clear as we slow down and abide with contentment in the day and the place and the life we’ve been given, which is a gift. And God intends for it to be good." So we come back now to the Mary, Martha, and Jesus dynamic. There are the chores of Martha, there is the learning of Mary and there is the teaching of Jesus. I suspect that the fact is in life that all three things must be; simply be. There must be the teaching and the learning. But when all that is said and done, somebody’s is going to have to get up and do the dishes. The fact is in any household, that there are dishes to be washed, floors to be cleaned, carpets to be vacuumed, lawns to be mowed, bushes to be trimmed and the trash to be taken out. That’s obvious. But there is also the matter of our vital conversations with one another. Any marriage or family system is driven to wellness or comes to a screeching halt depending on on well we communicate, and how effectively we deal with conflict. The matter of Justice simply requires that we all give one another a hand with the chores, the joys and the fun of life. We all need all of life, and we all need to look out for one another to live it to the fullest. The Gospel is not just about the Compassionate Father in the Parable of the Prodigal Son. It is not just about the repentant son. Nor is it just about the resentful older brother or even the mother who has to cook for all the folly of all that testosterone. The Gospel is about all of us as we take our places on the stage of Salvation History and live out our lives as God would have us live them, so that all becomes reconciled to God and to one another. Remember as you read the Gospel. It is not about who is right or wrong, it is about the whole of life and how we live each part of it. The Gospel is not about whether Mary or Martha is right or wrong. It is about the reconciling love of Jesus for both. Reconciliation begins with a recognition that the two are not a choice between the one and the other, but that the two are part and parcel of a whole. This is the ministry of reconciliation. All this is very good, but what of those who do not want to be reconciled? After all there are those marriages that die due to irreconcilable differences. And moreover there are those seemingly intractable conflicts that always simmer near the surface of our lives. I suspect that too often we forget the Gospel words Love, Reconciliation, and Forgiveness. How powerful those words are and how graceful when we live them. As a man of Irish descent, at least in part, I can tell you that the Capulets and the Montagues are not just two families in a play but the very archetype of human and family conflict like our own Hatfields and McCoys. And lest we forget the ages old Protestant and Catholic conflict in Ireland that is now somewhat in abeyance since the Good Friday Agreement of April 10, 1998. It is a complex agreement but it has held the animosities in check at least for some time now. What then of the Middle East? Will our fellow Bay Stater and countryman John Kerry, actually get the Israelis and the Palestinians to the table to talk? Talk about animosities! Anyone who dares to approach such warring madness risks the ire of the extreme of either camp. 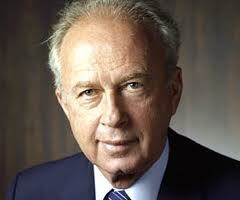 Yitzhak Rabin paid with his life the price of signing the Oslo Accords with Yassser Arafat in 1993. 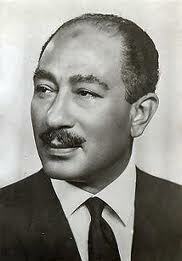 Anwar Sadat also paid with his life for signing the Egyptian-Israeli Peace Treaty in 1979. Both men won the Nobel Peace Price. Both men gave their lives for the cause of peace. Yes, exactly. what if there are those who do not want to be reconciled? What then shall we do? Shall we give up? Or shall we work on to that time when all God’s Children will hold their hands together and sing of the freedom God gives us in the very ministry of Christ which is to reconcile all to himself? This is not just the dream of Martin Luther King. 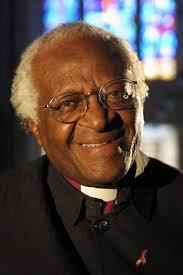 This, in the words of Desmond Tutu is the Dream of God. 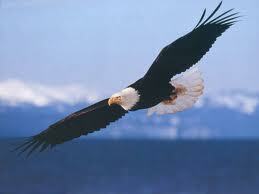 You know, when I think of Left Wingers and Right Wingers in American political life, I think too of the Eagle as a symbol of our this great nation, or at least about its potential for greatness. A bird cannot fly without both wings, duh! Neither can we without a recognition that it will take all of us pulling together to lift ourselves to the soaring heights we were designed to achieve. Alas, we have so much to learn in the infancy of our human moral development. Jesus paid the ultimate price too for this ministry of reconciliation. I hope it doesn’t always come to that. But that’s our work: I'll grant you; an unending work. It is a good way to live our lives. A way that leads to eternal life. It is a Gospel life. So then there is Love. There is the Ministry of Reconciliation. Next week we’ll focus our energy on Forgiveness. But every day we live the Gospel. In the Name of the Father and of the Son and of the Holy Gospel. The following is the first in a series of three sermons that I plan to preach at St. Andrew's Church in Marblehead MA. "Living the Gospel: A Meditation on three great Gospel words; Love, Reconciliation and Forgiveness." Good morning my dear friends. 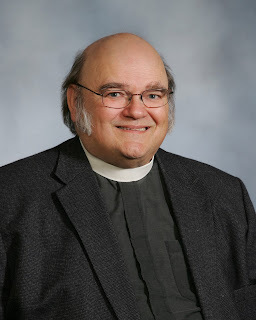 My name is Paul Bresnahan and I am an ordained priest in the Episcopal Church. 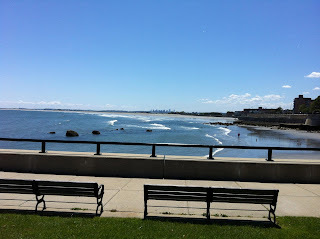 I live in Lynn just off Lynn Shore Drive where I have a commanding view of the ocean from my front porch. The dog and I enjoy watching the tide come and go. I was ordained to the Diaconate in 1972 by Bishop John Melville Burgess at The Church of the Epiphany in Winchester, and ordained later that year at St Luke’s Church in Linden Square Malden. Alas that church is no longer with us. I served at Christ Church in Hyde Park, Boston for eight years during the integration crisis. From there I went to Euclid, Ohio during yet another integration conflict on Cleveland’s east side. After another eight years there, I went to Pawley’s Island in South Carolina where I served two tiny black congregations in the wake of the ravages of Hurricane Hugo. That didn’t last long at all given my advocacy for the poor and the Bishop’s reluctance to confront a fellow Episcopalian who was buying land at auction from the cash poor residents of the place. The practice made the poor much poorer and to do such a thing offended my sense of justice. During the ensuing conflict with the then Bishop of South Carolina, I lost, he won. 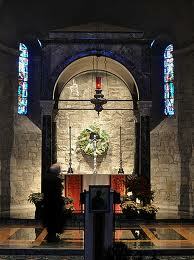 I returned to Massachusetts to serve another St. Andrew’s Church in Methuen for four years. From there I went to St. Mark’s Church in Saint Albans West Virginia where I expanded the ministries of a soup kitchen a food pantry, transitional housing for battered women and their children and went on to build a homeless shelter. This ministry satisfied me a great deal. I stayed there for almost twelve years. I retired from there to return to Salem, where I served historic St. Peter’s part-time, so to speak, for five years during which time we expanded our ministry to include a Spanish speaking congregation. I retired a second time and before long was invited to go to Douglassville, PA to serve a marvelous congregation as an interim priest for about 15 months. I retired a third time just a few weeks ago after taking half a dozen teenagers to France on an amazing Pilgrimage to places like Rouen, Lisieux, Caen, Mont St Michel and of course Paris. They say three’s the charm, but the phone rang when we were in Paris at our last supper there and as a result of that phone call I have an appointment with Bishop Paul Marshall in Bethlehem, PA to explore the possibility of yet another interim position. 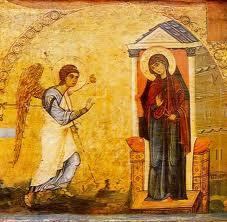 I shall ponder all these things and keep them in my heart as scripture says Mary did after the Annunciation. After all, the majesty of life; all that we’ve lived and all that we have yet to live requires us to ponder these things in our heart. If you do the math, I’ve been ordained for 41 years. I must confess to you how much I love the church. Yes, it can be maddening, frustrating, and it can drive you to distraction at times, but the pure majesty of it; the worship of God and the love and care of God’s people and the service we share among rich and poor, among black and white and Spanish speaking and so forth, among male and female and yes among the gay and the straight alike; all this ministry is about nothing less than the love of God and the love of our neighbor. God knows, working out the particulars of our salvations takes a lifetime. What must I do to inherit eternal life? I suspect I have been doing it all my life. I suspect you have too. After all, eternal life begins with our baptism, not at the point of death. It won’t do us much good when we’re dead. The time to live like Jesus is here and now! Look how Jesus responds to the lawyer who stood up to test him in today’s Gospel. He too wanted to know what he must do to inherit eternal life. Jesus was careful to repeat the “Shema” the ancient first law of the congregation of Israel. Hear O Israel, "You shall love the Lord your God with all your heart, and with all your soul, and with all your strength, and with all your mind." This is the first and great commandment. The word “hear” in Hebrew is the word “Shema”, hence the name of the foundational commandment of the whole Law and the Prophets. This must have pleased the lawyer. This is what Jesus was supposed to have said. But Jesus did something else with his reading of the Law. Something I find stunning. His heart and mind searched the entire scripture in the twinkling of an eye. He landed upon a somewhat obscure half verse in the Law of Leviticus, one not terribly well emphasized in regulation by the Levitical tradition. Of all the laws that come to us from the entire Rabbinical tradition, and there are 613 of them, 247 come from Leviticus, this particular commandment comes to us from Leviticus 19, versus 17 & 18. The law represents a “summary” if you will of many injunctions found in the first 19 chapter of Leviticus. And that law says quite directly “You shall love your neighbor as yourself”. Jesus clearly ties the two laws together and in Matthew’s version he says specifically that the second law is exactly like the first. 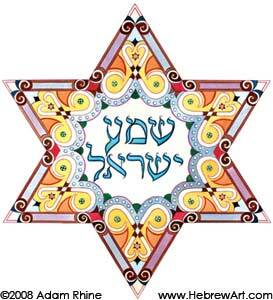 It is, if you will, “congruent” with the “Shema”. Thus the Law and the Prophets is summed up in these two commandments. 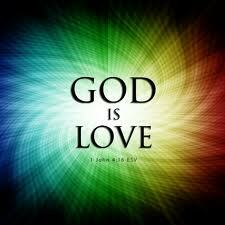 You shall love God and you shall love one another. The Gospel of God is love. This is the Good News. Fill your life with it. Sound easy. Ha! Just think of your familial relationships; parents to children, siblings and their rivalries. Nation to nation. Republicans and Democrats, Israelis and Arabs, Sunnis and Shia. Good God, love your neighbor! And worse yet, he said “Love your enemies”. How in the world can such a thing be? I’ll tell you how. This is how you and I are to inherit eternal life. A new commandment I give you, Jesus said; “Love one another”. Look, I have a confession to make. My brother drives me to distraction. He is as conservative as I am liberal. He is always trying to convert me to Christianity. I maintain that I’ve already done that. We have an interesting if strained relationship and have done since childhood. But he is my brother. I must therefore do everything in my power to maintain a loving relationship with him. As you and I must do everything in our power to maintain loving relationships with all in our families. The Gospel love of which Jesus speaks and of which God requires goes much beyond familial bond. The Samaritans claimed they were the true Judaism untainted by the Babylonian exile. After all this portion of Judaism remained in the land and maintained the Torah in a Hebrew that actually predates the Hebrew of Jesus time. The Samaritans were loathed by many Jews of the day. So when Jesus pointedly tells the story of the Good Samaritan to this particular lawyer, I’m sure lots of ears were raised, many eyes looked askance. This Jesus obviously had a new take on the “Shema”. In the case of Jesus we were talking about a love that pierced through the classifications that we humans like to make as we organize ourselves into various ethnicities, races, classes, genders, and yes, orientation. The Gospel is love. It is hard work. It will take a lifetime. But it leads to eternal life. The kingdom of heaven, as Jesus said, is within you. As you live into the truth of your own heart, you increase the chances of living into the heart of God. That’s worth doing because as you live into the heart of God, you in fact learn to live eternal life. If ever the world needed to hear such a message, this is the time. While we are entitled to all our opinions, ideologies, patriotic ethnocentricity and so forth, we are not entitled to anything other than love. For God is love. For the next few weeks, I would like to invite you to explore with me several great words of Gospel life. Today we explore the majestic but often overworked word “love”. Yet if lived as Jesus preaches it and as God requires it, the power of the word builds a life that shall never end. Next week, I will ask you to explore the word reconciliation and finally during my third and last Sunday with you, I will ask you to work with me on the word forgiveness. These three words are at the core of living a Gospel life. This is a life worth living. It is pure joy. It is nothing less than eternal life. Every day we gathered for Morning Prayer and Compline, led primarily by our Pilgrims. On our way to the Cathedral at Rouen, I reminded our pilgrims that over the great west doors at the cathedrals, we will see sculptures of the Last Judgment. The passage from scripture on which this art is based is from Matthew 25:31ff. 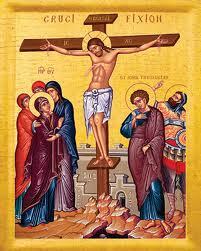 "Insofar as you have done it to one of the least of these, you have done it to me". The passage is about God's judgment of the nations of the earth. Read the passage yourself. 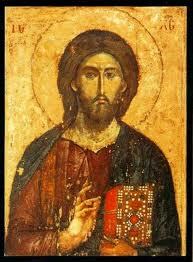 The poor, the hungry, the homeless, the suffering the outcast are among those Jesus considers the "least of these". Everyone who enters the greatest cathedrals of France sees the same scene. Those who presented this scene to the faithful understood how important the final judgment is to our ultimate understanding of scripture is about. Kings and Queens must enter the Cathedrals by these same doors. This is a reminder of how the rich and powerful are to treat those who are not so blessed. It came to me that the encounter with God by Moses was a good way to organize our thoughts for this pilgrimage. We began our first full day in France with the story of Moses at the burning bush. The scripture says that God spoke to Moses out of the burning bush to say; "Take off your shoes, for the land on which you stand is holy ground". I explained to our Pilgrims that it is obvious that the much of the ground on which we stood throughout this pilgrimage was holy. I suggested to our pilgrims that it is always the case that the ground on which they stand is holy, because life itself is holy. Next we read that God told Moses that he had seen the suffering of God's people. God told Moses to go to Pharaoh and say; "Let my people go." The question for our lives then is that we too see the suffering of God's people. How shall we go to our "Pharaoh" to say; "Let my people go". How shall we confront the reality of injustice and oppression in our time. When we came to the following day of our pilgrimage, we read in the same chapter (Exodus 3) that God revealed his Name to Moses: "I AM". It appears that God's Name has to do with the very nature of God's Being. So too, as we awaken to our "being" we learn of who we are and who God is for us. This is the very essence of our pilgrimage. Several of our pilgrims walked the labyrinth at Chartres and discovered God's heart beating within them. On our way to worship at the American Cathedral in Paris, we moved on to a few verses from the Sermon on the Mount. There comes a time in a Pilgrim's journey, when we are no longer searching so much as we now become the source of God's own Light. Thus we become the "salt of the earth" and the "light of the world". On preparing for our return home I read the concluding words of the Sermon on the Mount. "Those who listen to these words of mine and acts on them will be like the one who builds his home on rock. When the storms come, the rain, the floods, the winds, the house did not fall, because it was built on rock. But the foolish one who does not do so will be like the foolish one who builds his home on sand, and when the storms arise, the house will fall, and great will be the fall of that house." Thus the St Gabriel's Pilgrimage 2013 was about encountering God in the least of these, at God's burning bush. We are standing on holy ground, and God's ask us to notice the suffering of God's people. God's Name is holy and so is ours so we become the salt of the earth and the light of the world. As you listen to God and do as God asks you will build your lives on solid ground; on rock. I will stand by those words with joy in my heart of these young people and pray that they will long remember this journey to the heart of God.